This was a two day total for March 31 and April 1. 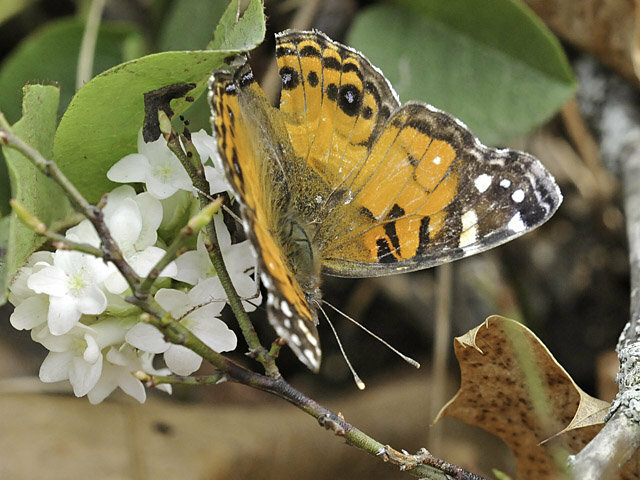 American Lady was nectaring on trailing arbutus. 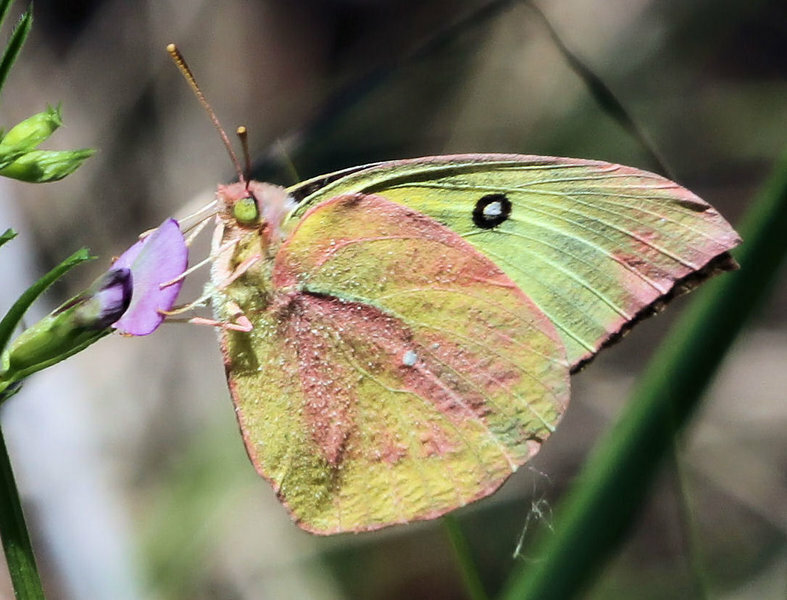 Here is my first ever Southern Dogface butterfly. I photographed it today 4-2-12. 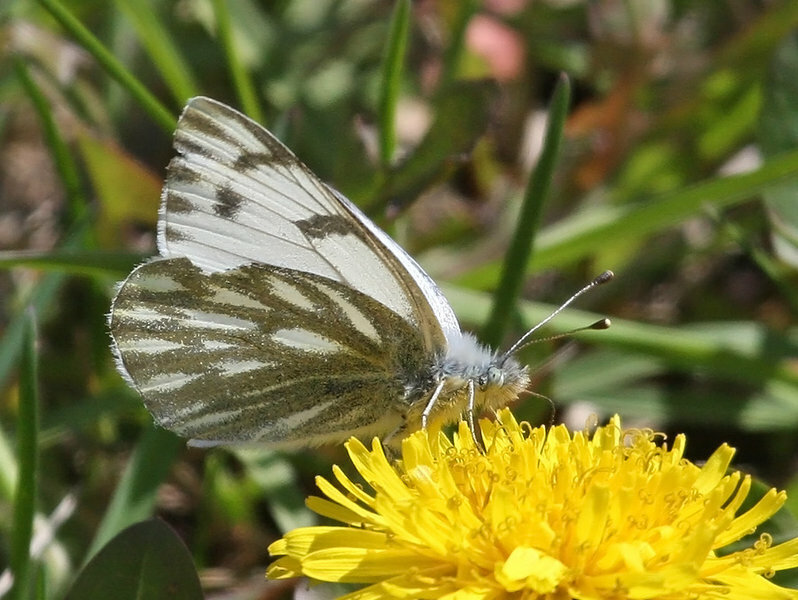 Very Early Silvery Blue and Roadside Skipper! Most of the Brown Elfins were found in openings sunning themselves on the sand and gravel. Kakiat Co. Pk. / Harriman St. Pk. Falcate Orangetips included 2 females. Juvenal’s Duskywings all in freshly-emerged condition, a rather early date for this species in our area. 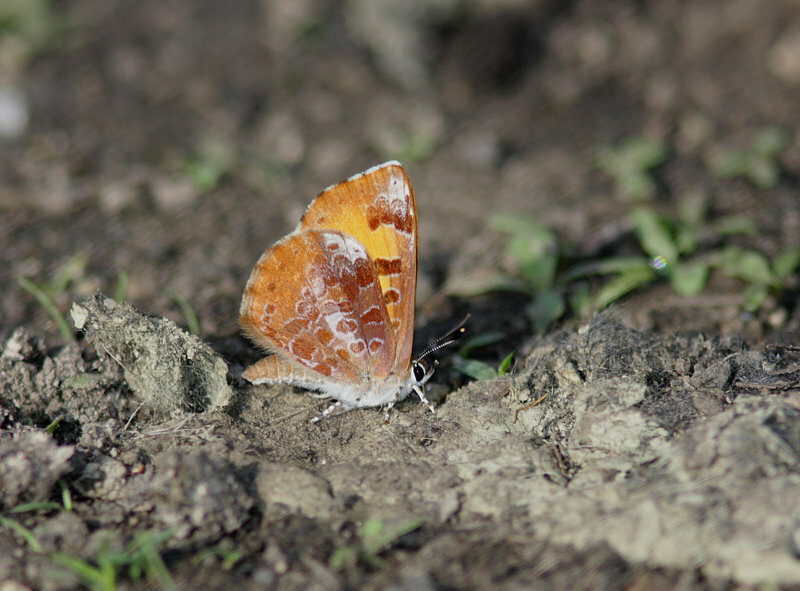 First Orange Sulphur of the year. 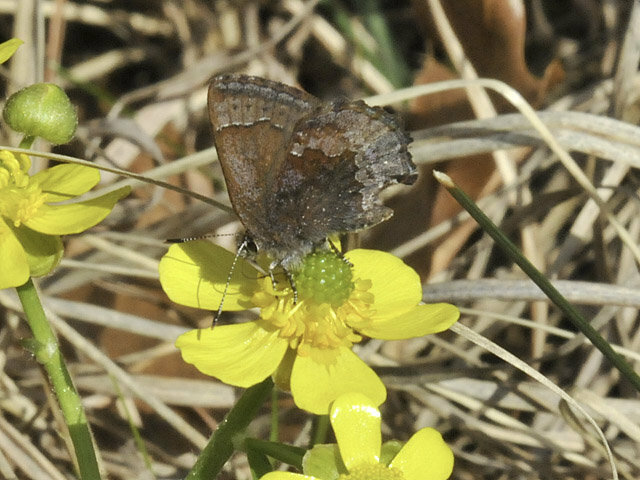 Potential first county record of the Brown Elfin. 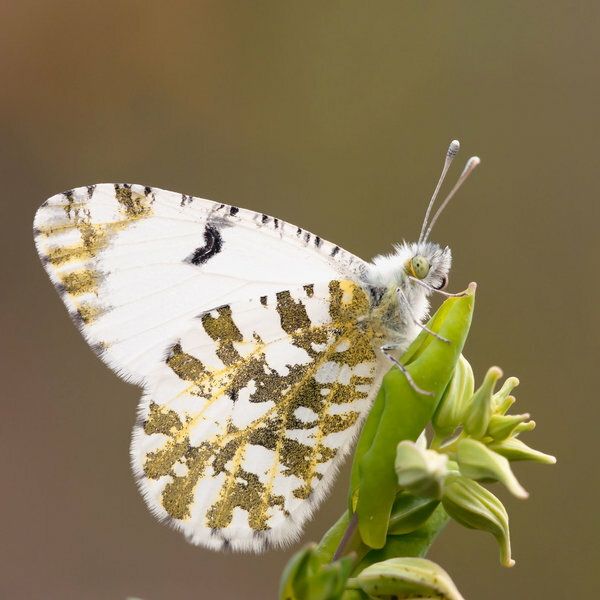 Falcate Orangetips included numbers of females; some mating activity observed. 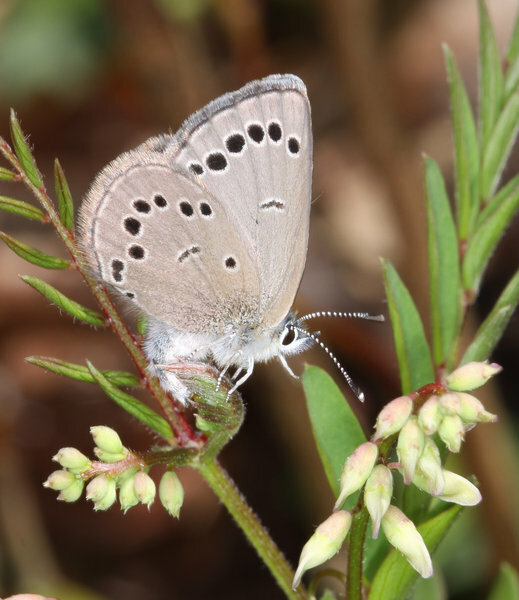 Eastern Tailed-Blues all in extremely newly-emerged condition. Cool temperatures, but strong bright sun. 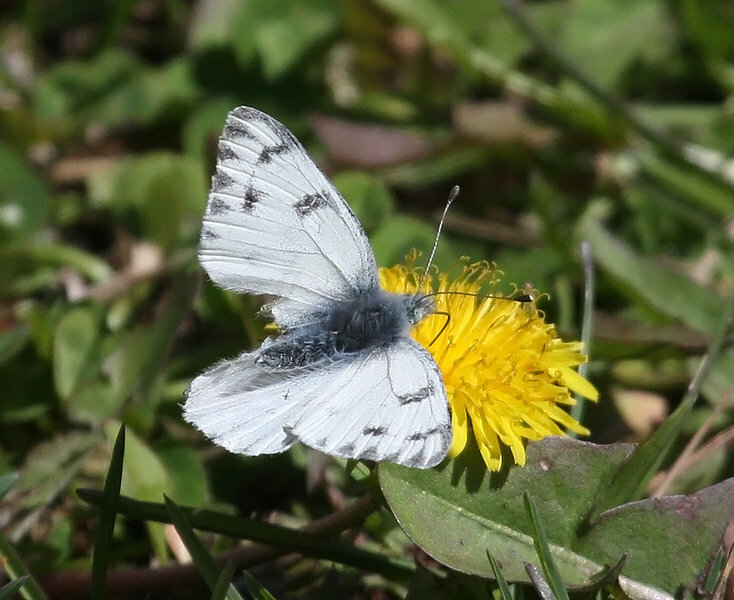 All sightings occured during the Clifton Bend Spring Count. 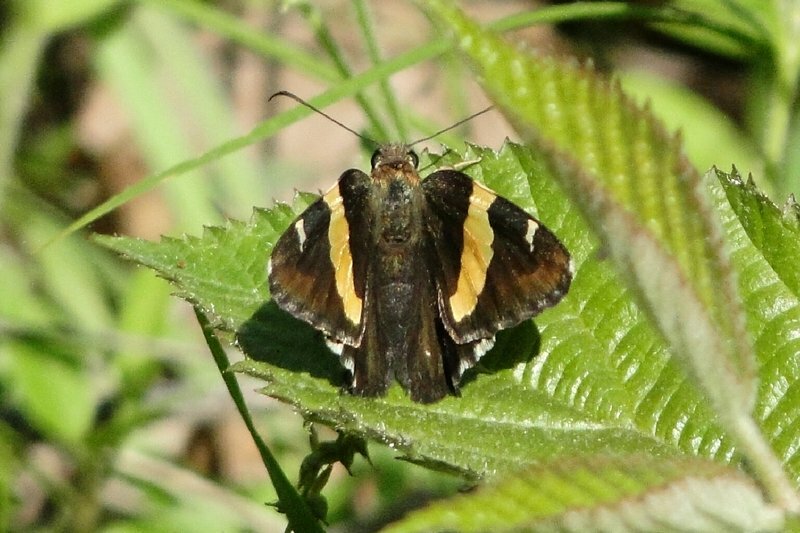 Golden Banded-Skipper was seen first and photographed by Mary Baker. 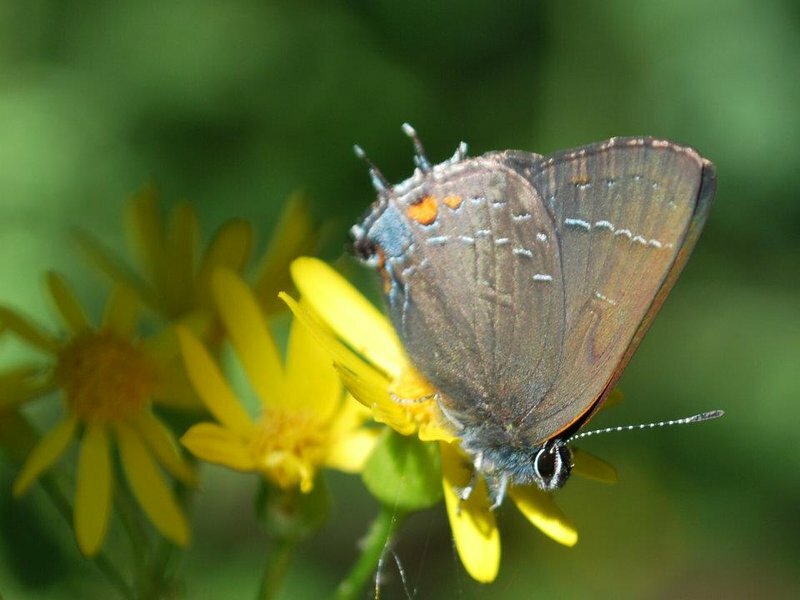 This species is quite uncommon in Tennessee and this record is the most western report in the state. My first time in the field in AZ. 11:30-2:30. Very hot. 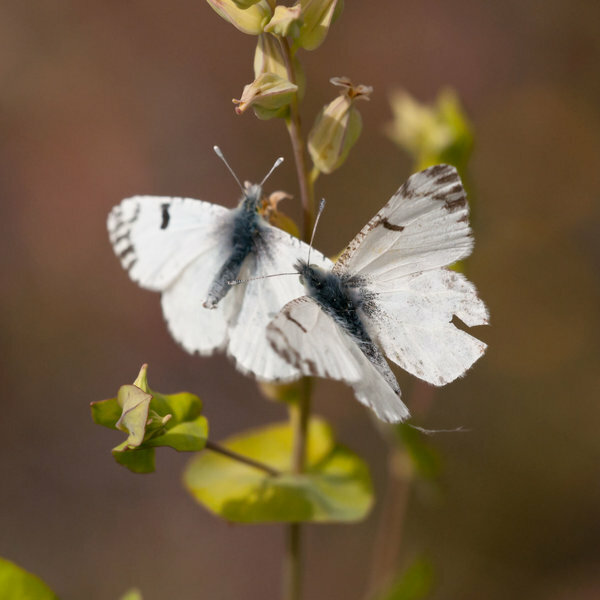 Most butterflies were very active, making observation, and at times, identification difficult. 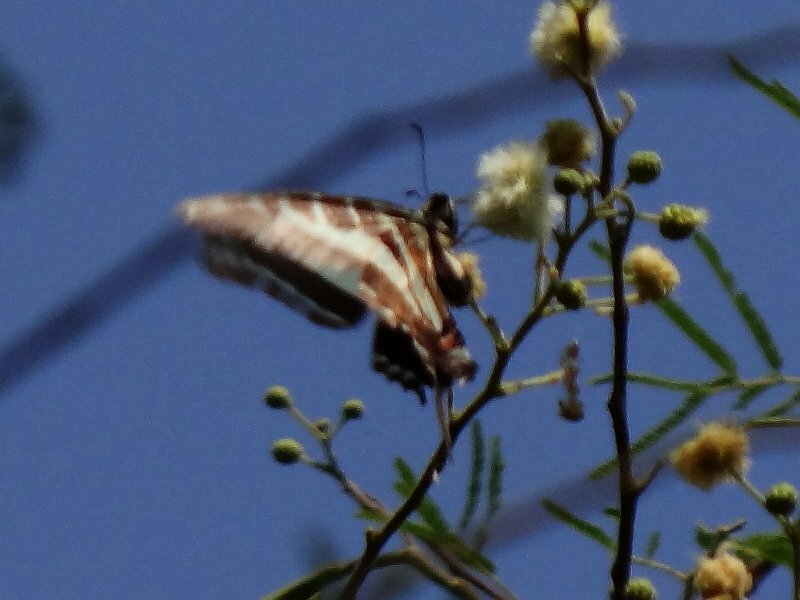 Also had several duskywings in flight, none were identified. Spring Azures were already worn. 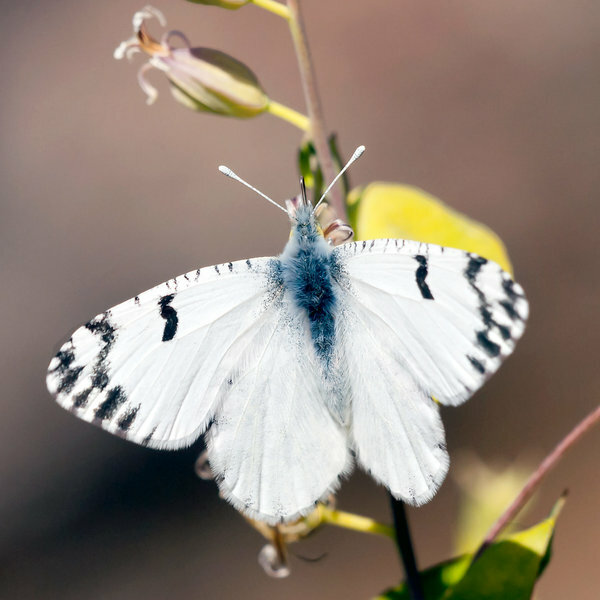 1st time this year for the Falcate Orangetips, Spring Azures, Eastern Tailed-Blues, Pearl Crescents, & Juvenal Duskywings! Saw the flash of blue! Followed it and got a photo for ID. 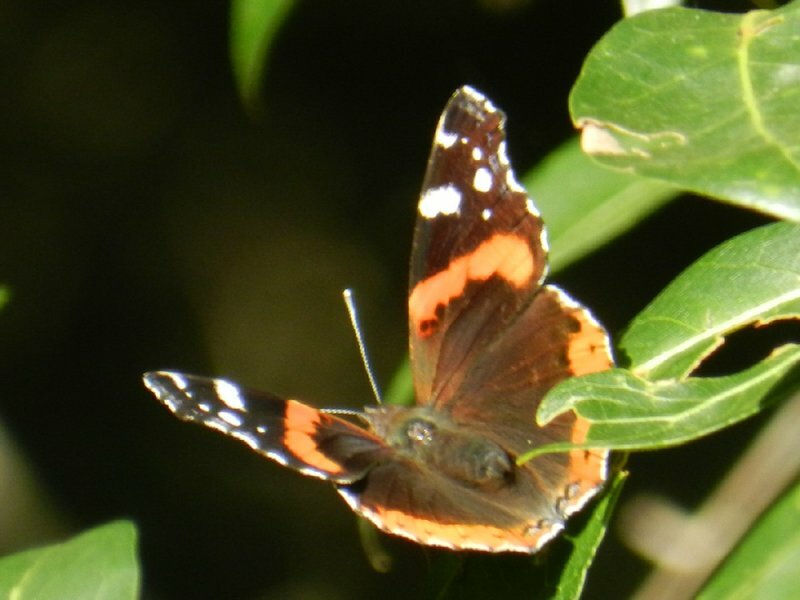 First of the year, and early sightings here for the Swallowtails, Meadow Fritillary, Red-spotted Purple, and Red Admiral. 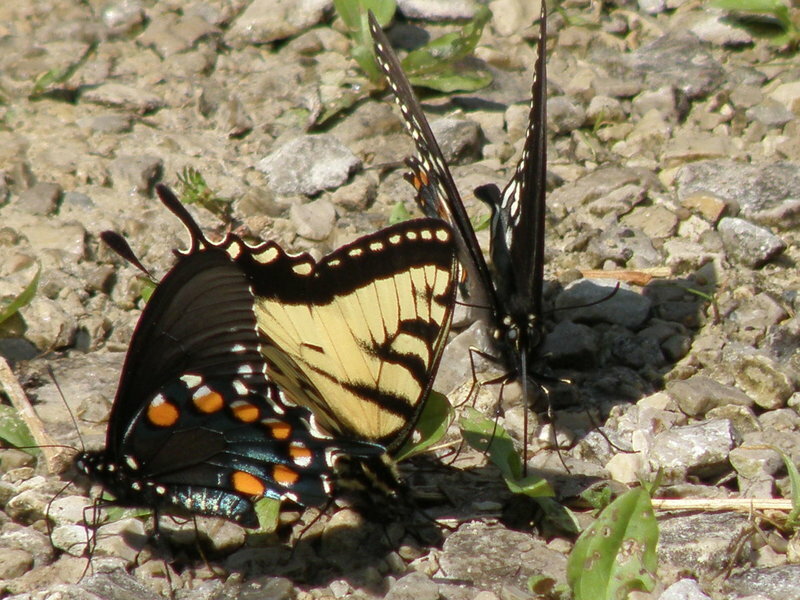 Black Swallowtails were both females. 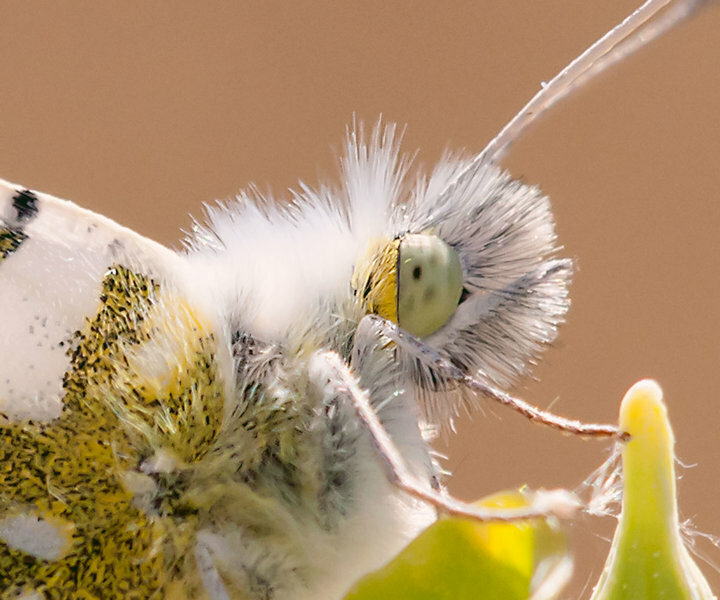 A few of the Falcate Orangetips were females. American Coppers very newly-emerged. 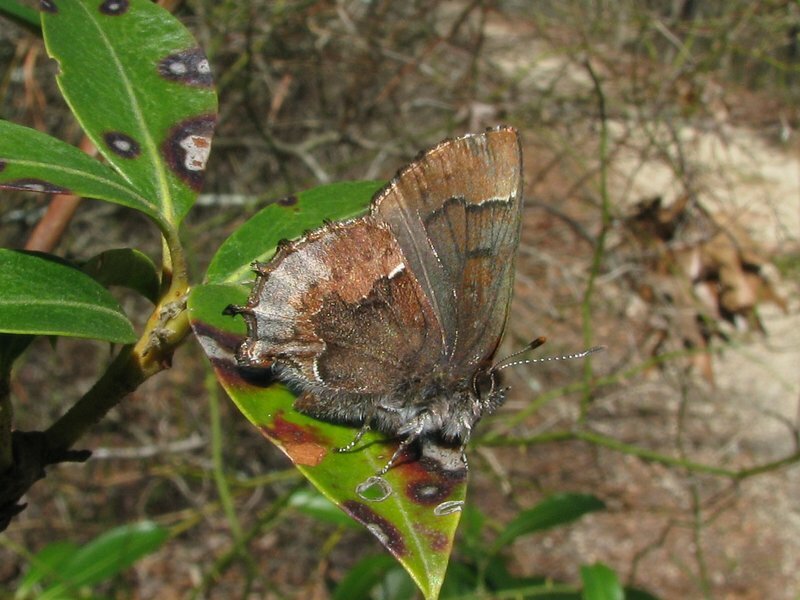 Brown Elfins seen still in good condition. 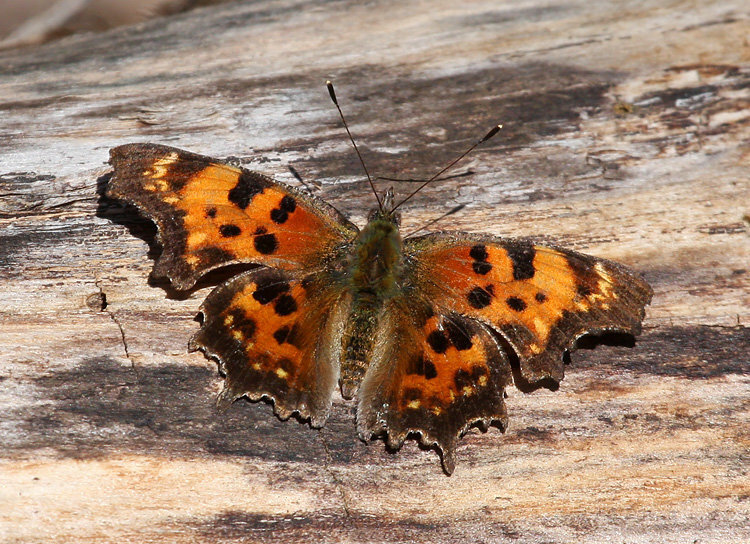 Many species hill-topping, including Compton Tortoiseshell, seen after 4 pm. 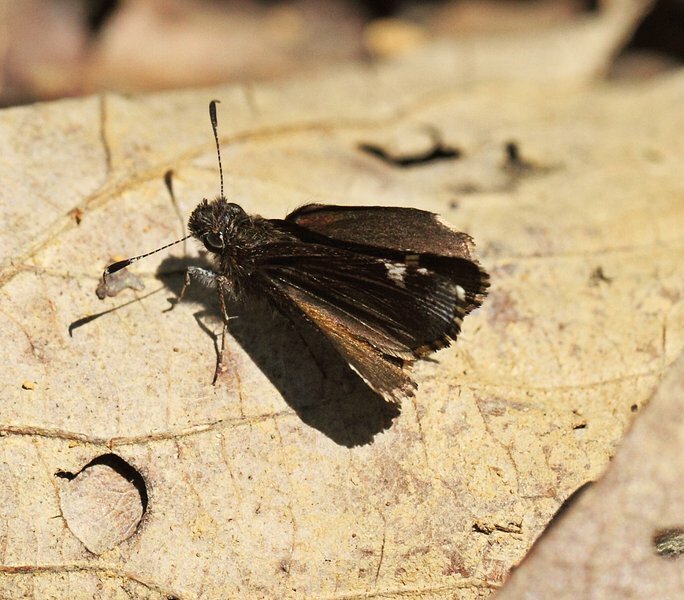 Dreamy Duskywing appeared very newly-emerged. 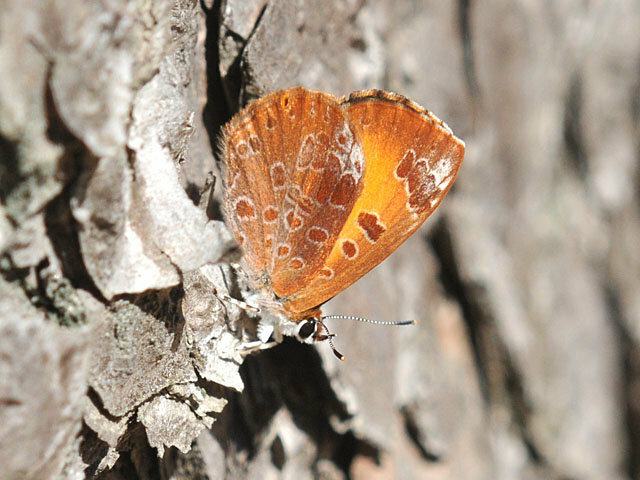 American Copper very early for this location. Silver-spotted Skipper early and Variegated Fritillary very early. Question Marks dark “summer” form in mid April. 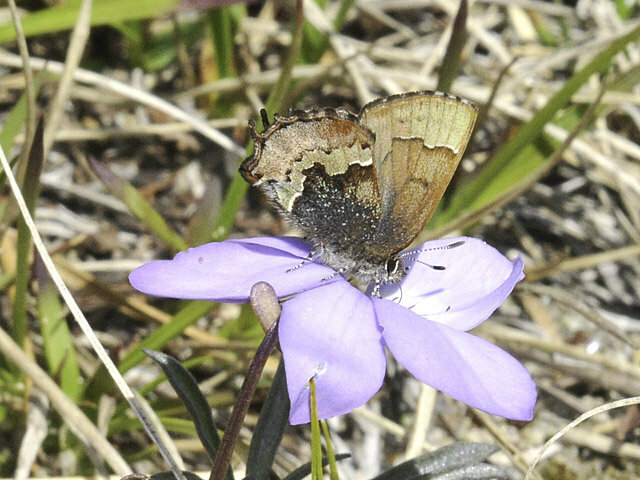 Question Marks were all the dark/summer form and the Common Checkered-Skippers were both very fresh. Giant Swallowtail photographed by TF; in a preserve where it had occurred in 2011. 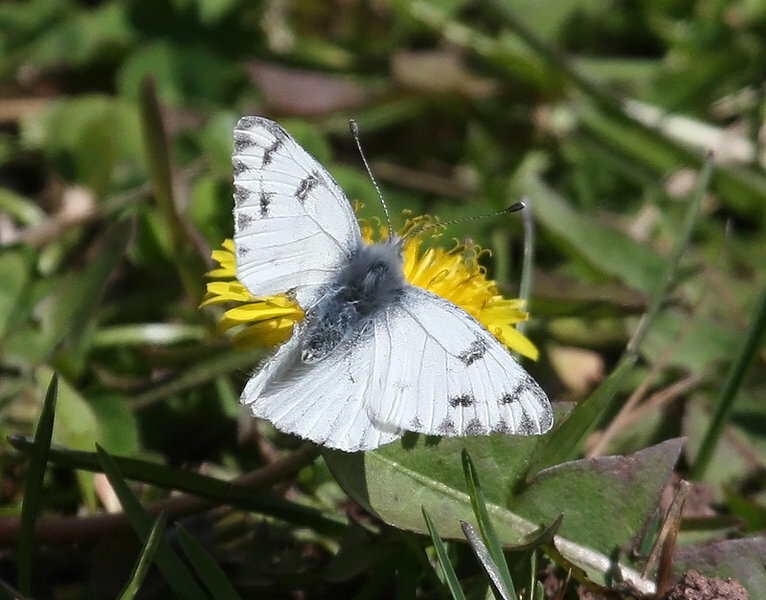 Many butterflies continue to be seen well ahead of expected earliest dates in the northeast. This spot contains lots of Jewelflower, which is the hostplant for California Marble. Note: California Marble is counted in the ‘Pearly’ Marble listing. Giant Swallowtail was a male and very early compared to last year. 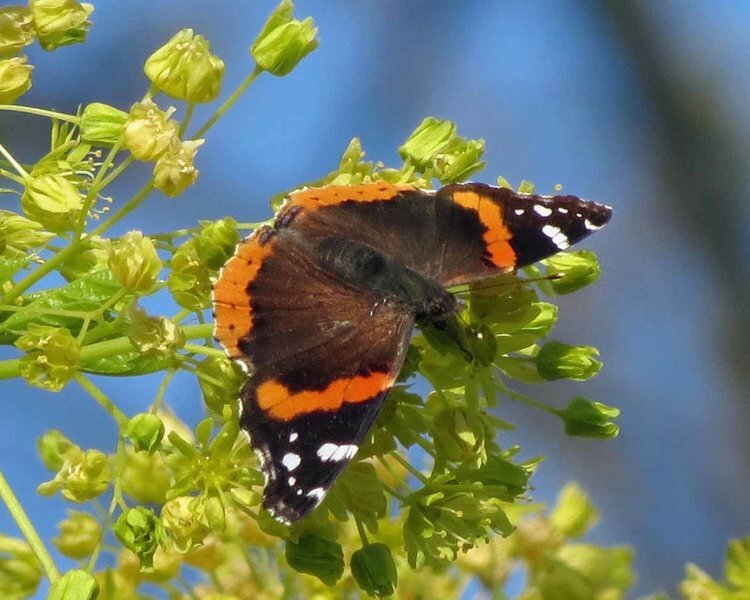 Numerous Red Admirals Our park was once a tree teaching site so we have many different species of trees which may account for the many different butterflies and moths we see. First time spotting this variety in such large numbers. 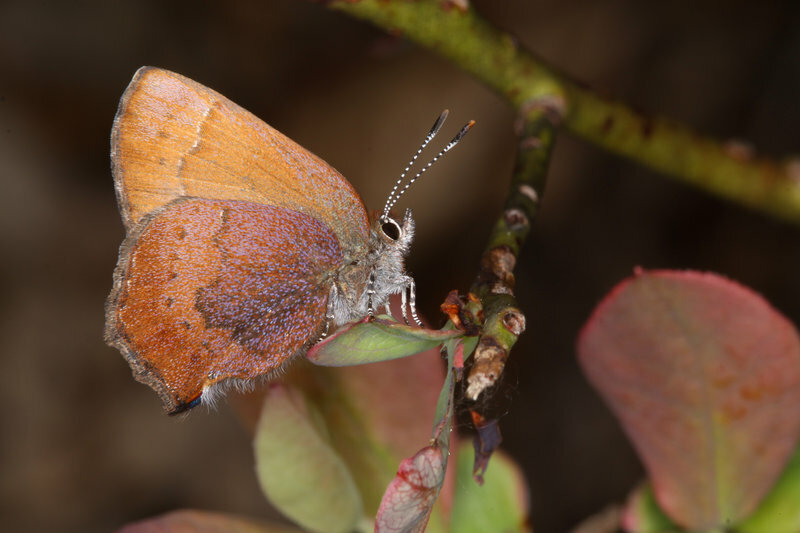 Red-banded Hairstreak photographed by Maha Katnani. 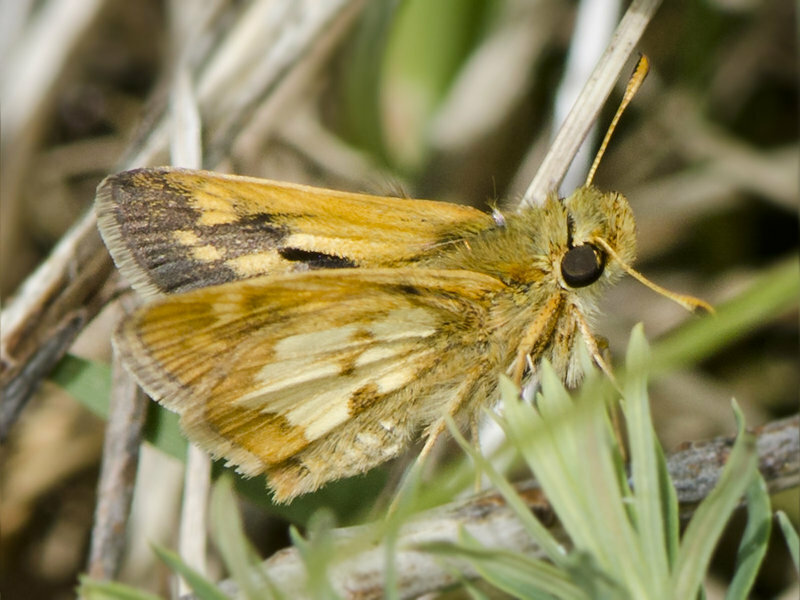 Zabulon Skipper photographed and confirmed as this species; a very early date for it in this region. 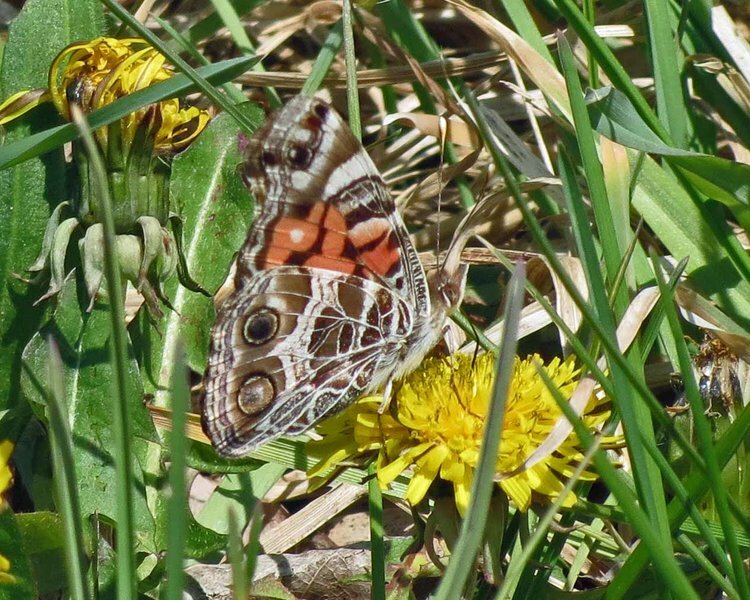 Many butterflies continue to be seen well ahead of more-expected earliest dates in the northeast. Earliest Sighting of a Common Buckeye at this location. 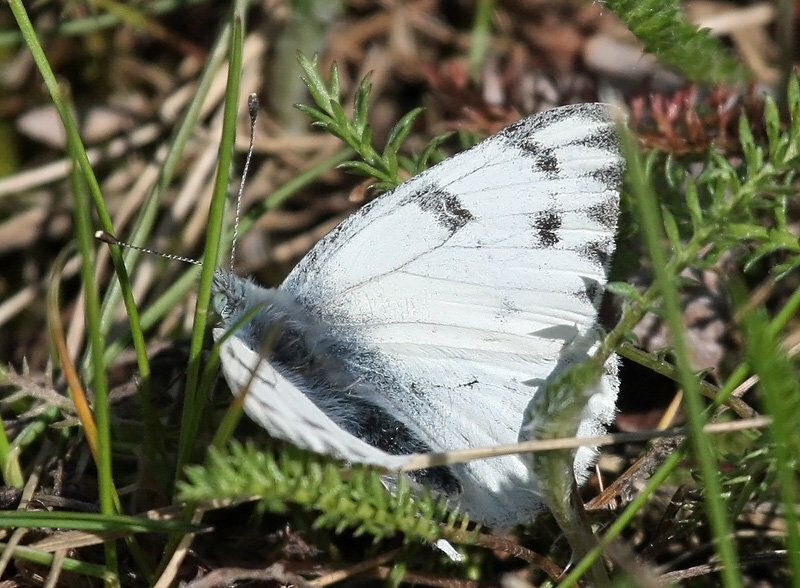 If confirmed as a Western White this would be only the 3rd state record, at an exceptionally early date for the Lake Superior shoreline no less. Comments on the identification to ryanbrady10@hotmail.com would be appreciated! Have ID photo for the White M if needed. Previous listing for early date for Cobwebs in SE NY is May 7. These were way early. One pair courting. 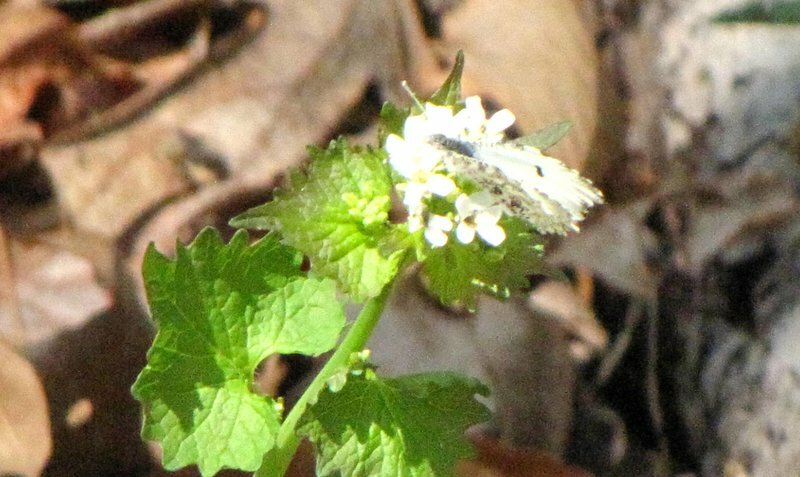 One female ovipositing. Sightings recorded over approximately six-hour period. Weather: 50°-54°F, mostly sunny to cloudy with light rain, winds very calm. Habitat: Large tract of mature oak-hickory woods on steep slopes along Des Moines River, wooded trails with some open areas. 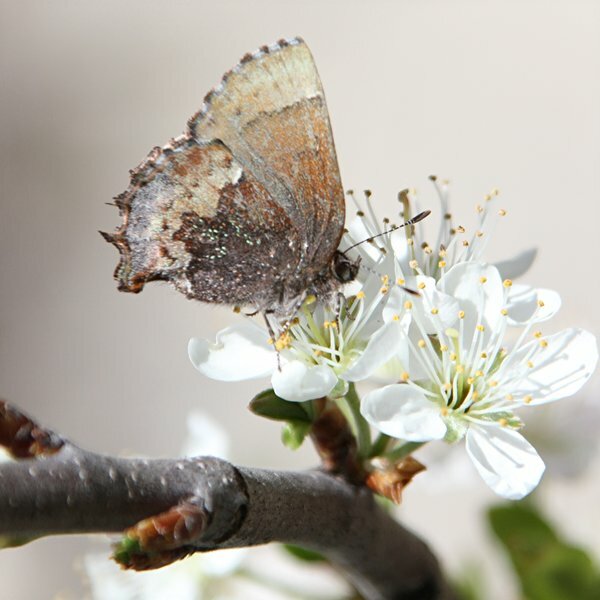 One of the Azures was very fresh and flying around Prunus serotina — American Ladies were not around at all on April 8. They looked like a mix of fairly worn males and some fresher females. 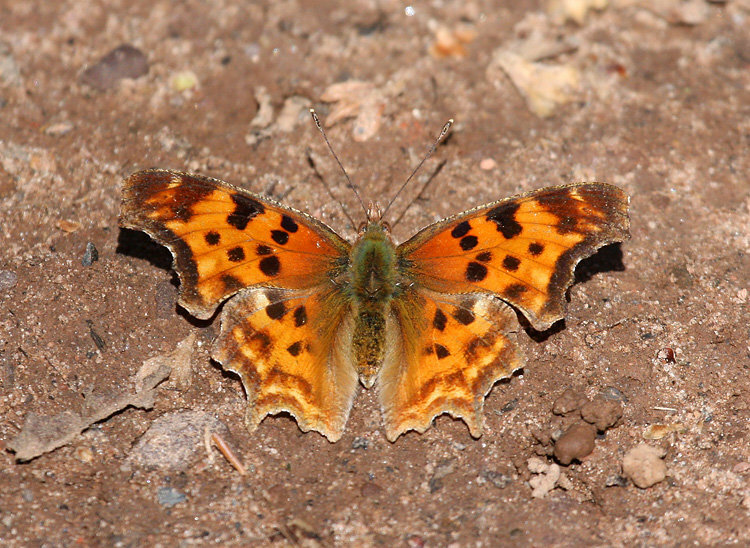 One of the Question Marks appeared to be a freshly emerged summer form. 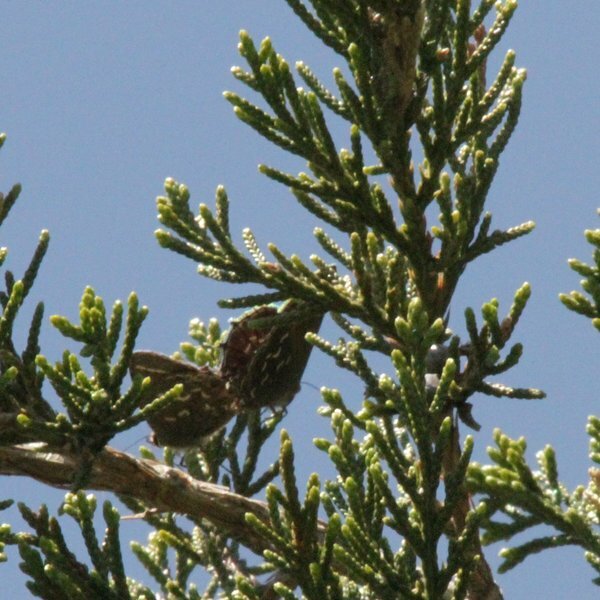 Horace’s DW is only my second spring record for Jersey pine barrens. 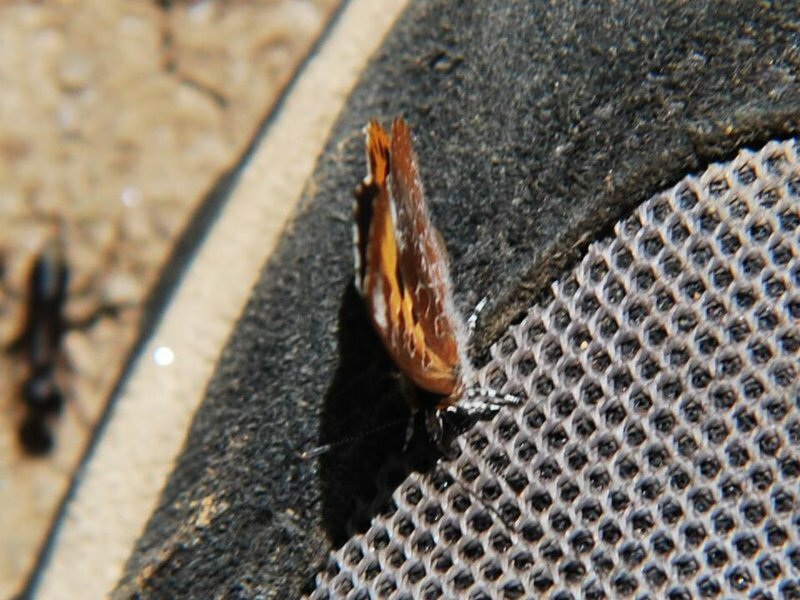 Lifer Harvester landed on my foot!! 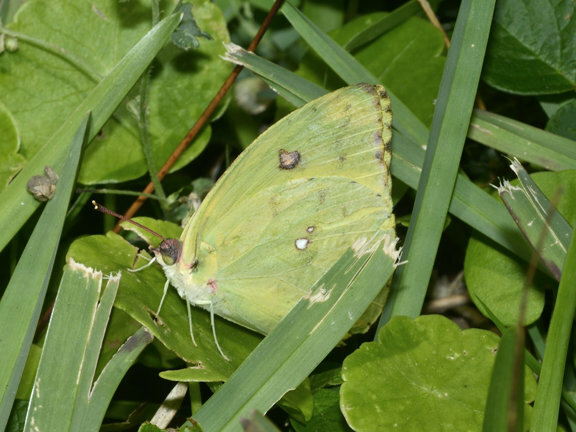 Dainty Sulphur is an extremely early appearance for this species, normally not seen until late summer or fall. Spicebush Swallowtail was a fresh female. 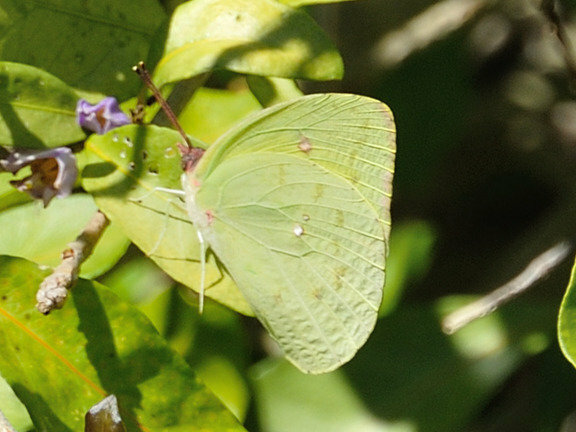 Observed dozens of Sulphurs while driving; temperature, 55—60 degrees. One of the female E. Tiger Swallowtails was laying eggs on a Crataegus (Hawthorn) species. 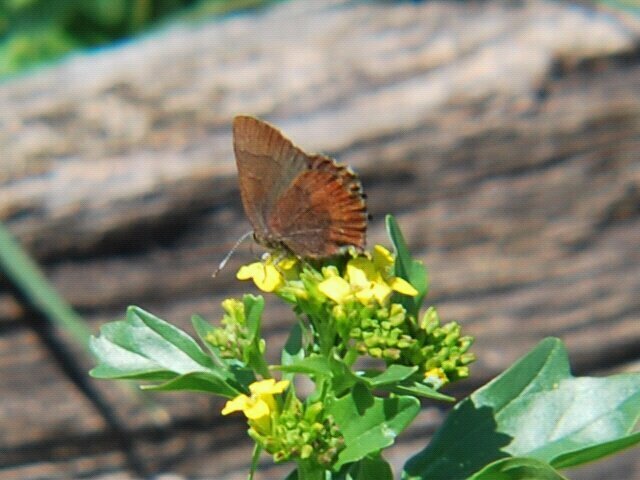 Brown Elfins doing well on a ridge with much Vaccinium (wild blueberry). 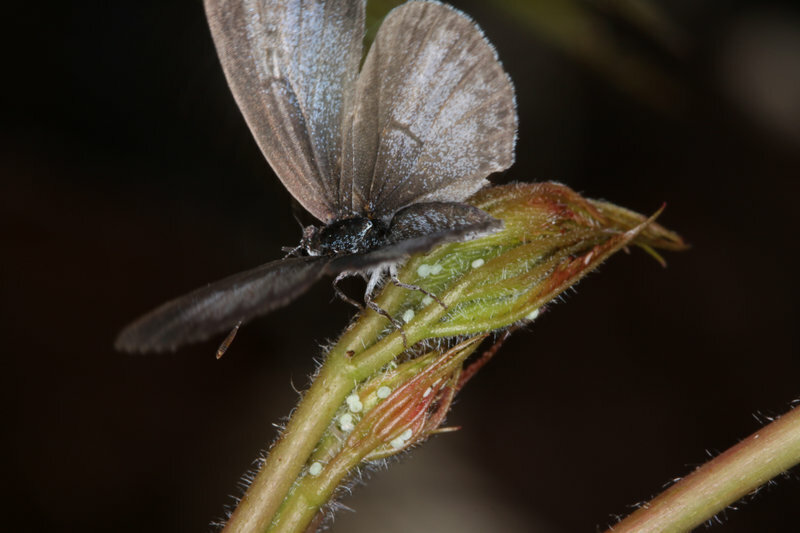 Many of the Juvenal’s Duskywings were females; a mated pair of that species was seen also. 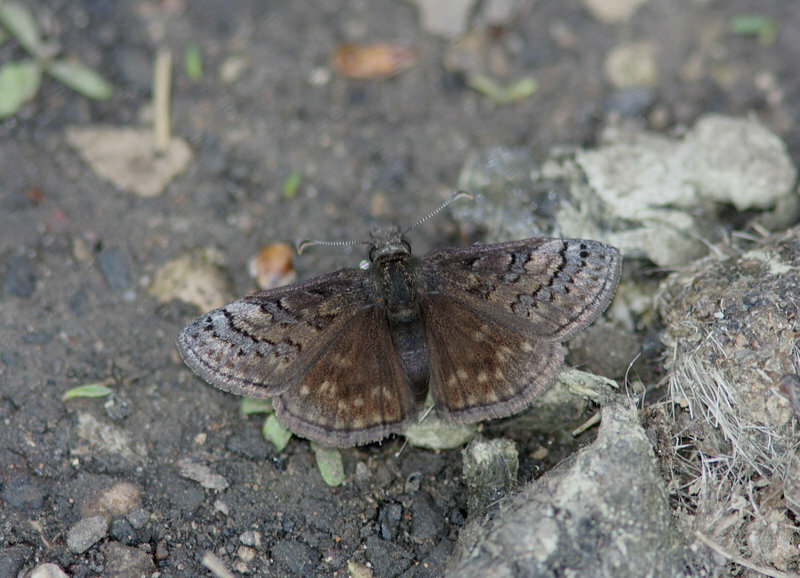 A Dreamy Duskywing was male, in good-looking condition. 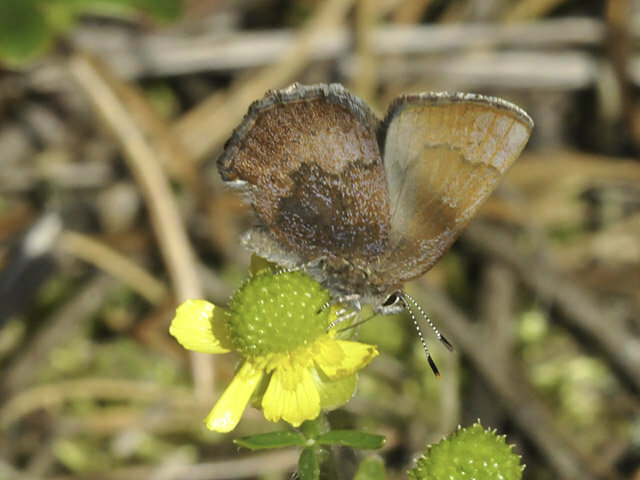 Juvenal’s Duskywings were mostly females. 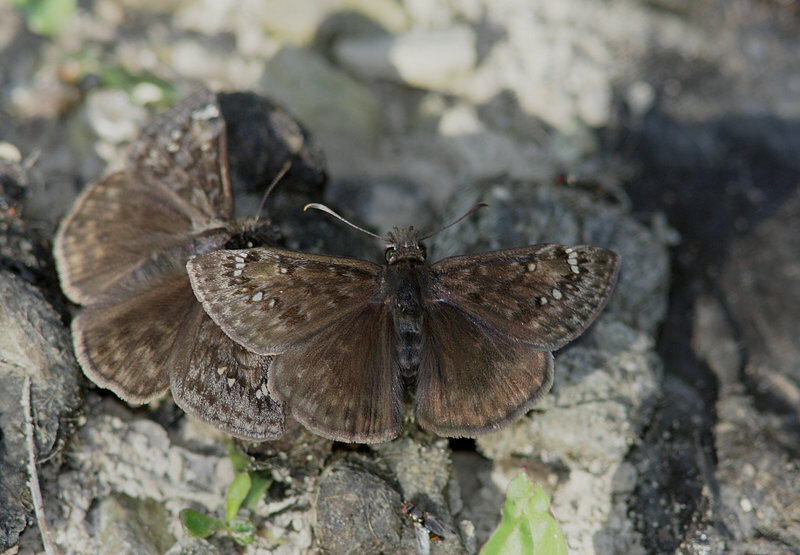 A Wild Indigo Duskywing was male, looking fresh, and the final butterfly sighting of the day. With wife Jane. 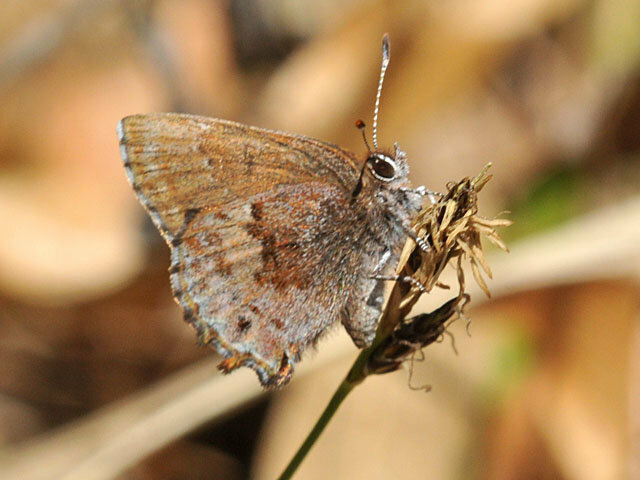 Interesting was what we didn’t see: no Pearl Crescents, no blues, only one duskywing. 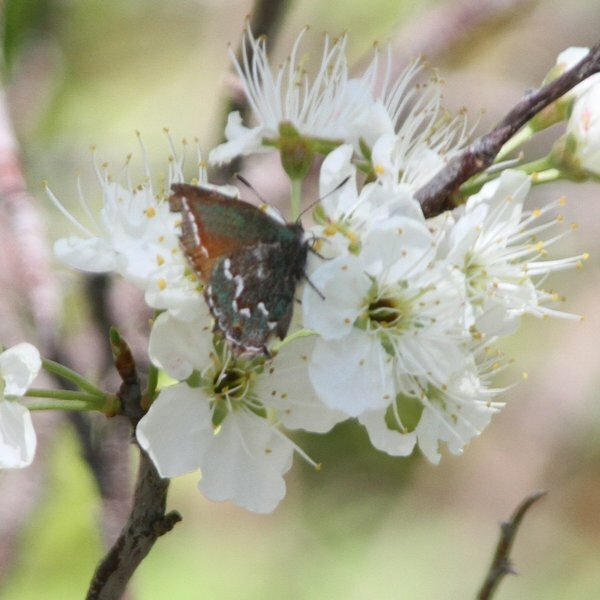 Most species found nectaring on beach plum flowers. 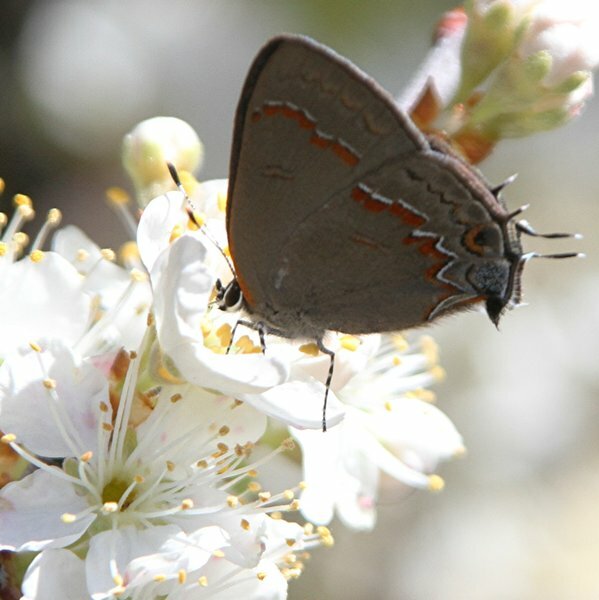 We watched 3 Juniper Hairstreaks flying around a cedar next to a very active plum. Two joined together about 15 feet up to mate. 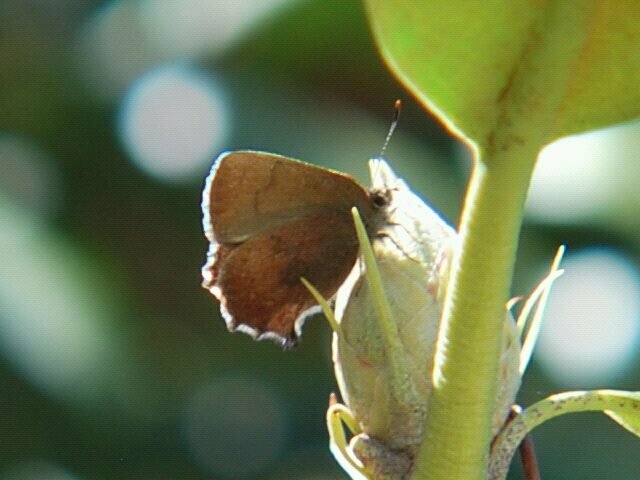 The same species in other areas covered such as the bike path, scout camp and K lot. 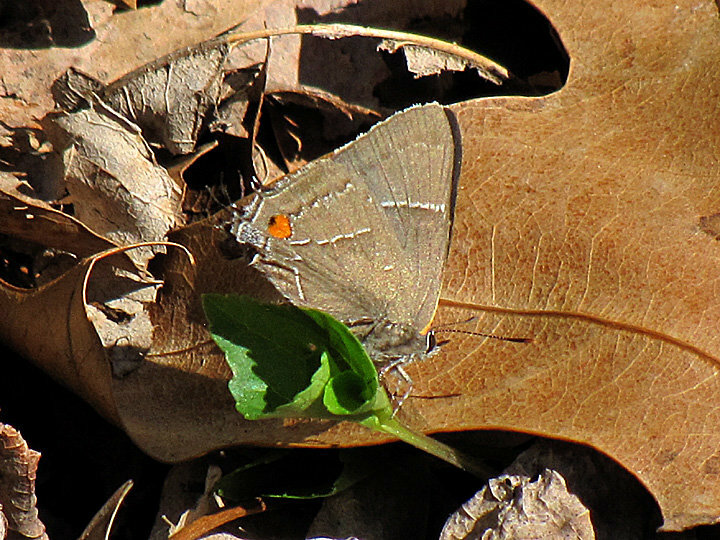 Only additional species was one Eastern Tailed-Blue in the area of the Rusty barn. Totals shown are only from the Dune Trail.